Defence Turkey: Can we please start with an update from you on Leonardo’s Turkey Branch? Why was it established and what has been accomplished thus far? Could you elaborate on the structure, responsibilities and number of personnel working at the Leonardo Turkey Branch? Camillo PIROZZI: In Turkey, Leonardo operates from an office in Ankara and, since the 1980s, has had a fully-owned in-country subsidiary (Selex ES Elektronik Turkey) which produces communications equipment for Turkey’s Army and Navy. While the Company’s office in Ankara opened fairly recently in November 2010, Leonardo’s history in Turkey dates back decades further, taking into account the work done by various companies that belonged to what was then known as the Finmeccanica Group. Now unified as a single company with a single name, Leonardo has established a new central function called the Chief Commercial Office which coordinates marketing and sales activities across the Company’s various businesses, provides a unified commercial interface to customers and works to support international campaigns with expertise relevant to local markets. Soon, all of Leonardo’s international subsidiaries will be merged into a single company, ‘Leonardo International’, which will be tasked with strengthening relations with local stakeholders, companies and other partners. Defence Turkey: Can you provide a concise overview of Leonardo’s involvement and past experience in Turkey over the last three decades? Camillo PIROZZI: Leonardo has actually been doing business in Turkey for more than forty years, participating in major civilian and military projects such as the T129 helicopter, MELTEM- 3 anti-submarine warfare program, the provision of naval sensors and defence systems and, more recently, the GökTürk satellite program. Between the years 1990 and 1993 the former Alenia Aermacchi have also provided 41 SF-260 to the Turkish Air Force, assembled in Turkish Aerospace (TUSAŞ). Leonardo and Turkey have successfully cooperated in the helicopter sector for decades, spanning from the supply of products to Turkish operators to customization (for the Navy and, for example, for the Coast Guard’s AB412 operated in the Mediterranean Sea and across the homeland coastline), airframe manufacturing (Turkish Aerospace producing structures and cabins for the bestselling AW139 type) and co-development of new products (T129 ATAK). Indeed, Leonardo’s technologies provide security for the people of Turkey on a daily basis, for example via the new air traffic management and control system, which links over 20 air traffic control towers with Ankara’s main operations center. Leonardo’s Vessel Traffic Management System (VTMS) ensures the safety of Turkey’s coast line and seaports, providing an integrated and comprehensive view of maritime traffic in the Country’s territorial waters. Defence Turkey: What are the aspirations of Leonardo towards a long-term presence in Turkey through cooperation? Can you elaborate on the other programs that Leonardo would like to pursue in Turkey and cooperate on with local industry? What is the extent of your collaborations in Turkey? Camillo PIROZZI: For Leonardo, Turkey is an excellent example of collaboration. This is due largely to the Company’s strategic approach to Turkey, seeing the country as a long-term partner rather than just as a customer. As part of this, Leonardo has invested in how to establish and develop the technological expertise of Turkish industry. In short, you could say that Leonardo is working in Turkey, with Turkey, for Turkey. Defence Turkey: What can you tell us about Leonardo’s approach to local production and technology transfer issues, which Turkey’s procurement office, the SSB, has been giving great importance? Camillo PIROZZI: Leonardo understands the approach of the SSB in terms of creating long-term partnerships and local relationships, rather than acting as a traditional purchaser of equipment. This has led to some concrete successes over the years, such as the T129 ATAK program, which has facilitated the transfer of technology and development of local content. In every program that Leonardo has participated in in Turkey, we have actively transferred technology and expertise in order to contribute to the technological independence of Turkey. Defence Turkey: Leonardo has a growing presence in Turkey, most notably through the Selex ES Elektronik Turkey A.Ş. in the defence electronics domain. Can you elaborate on the 2018 performance of Selex ES Turkey from Leonardo’s point of view and elaborate on your targets for 2019? Camillo PIROZZI: Over the course of the past year, Selex ES Elektronik Turkey A.S. has seen improved results, reflecting investment and attention from Leonardo. Leonardo’s willingness to develop indigenous Turkish products has also led to a number of high-tech systems being manufactured by Selex ES Elektronik Turkey A.S. Leonardo’s new commercial structure will allow Selex ES Elektronik Turkey A.S. to fully benefit from Leonardo’s strategy for growth in Turkey. Defence Turkey: Leonardo has been active in Turkey for over 30 years, offering a wide range of advanced electronic defence and security solutions, from air defence systems such as the RAT-31D/L 3D air surveillance radar system, part of the NATO air defence net, to patrol aircraft such as the ATR72/600 under MELTEM-III Program. Would you elaborate on the experience you have in Turkey following the NATO project? Camillo PIROZZI: As Leonardo we have had an interesting experience with every project, we have managed in Turkey including those contractually signed with NATO for the supply of our systems to the Turkish MoD. In this scenario, we confirm that under the NATO umbrella Leonardo has successfully delivered one RAT-31S/LT and seven RAT-31D/L for Turkish Air Force (TurAF) operations. These programs have shown strong NATO support for Turkey, as a country of strategic importance to be part of its air defence network giving our company the opportunity to expand its market position in Turkey. The RAT-31D/L is a solid-state active phased array three-dimensional (3D) radar with an effective range of over 500 km. After more than 10 years from the initial installation, the first three RAT-31 D/L radar system have undertaken an important midlife upgrade to align as much as possible their configuration to the latest FADRs (Fixed-Air Defence Radars) delivered by Leonardo to NATO Countries. The modernization project started in April 2014 and after the initial phase of system design and component manufacturing in Italy, the upgrade phase was performed in the field and completed by our technicians by December 2017. 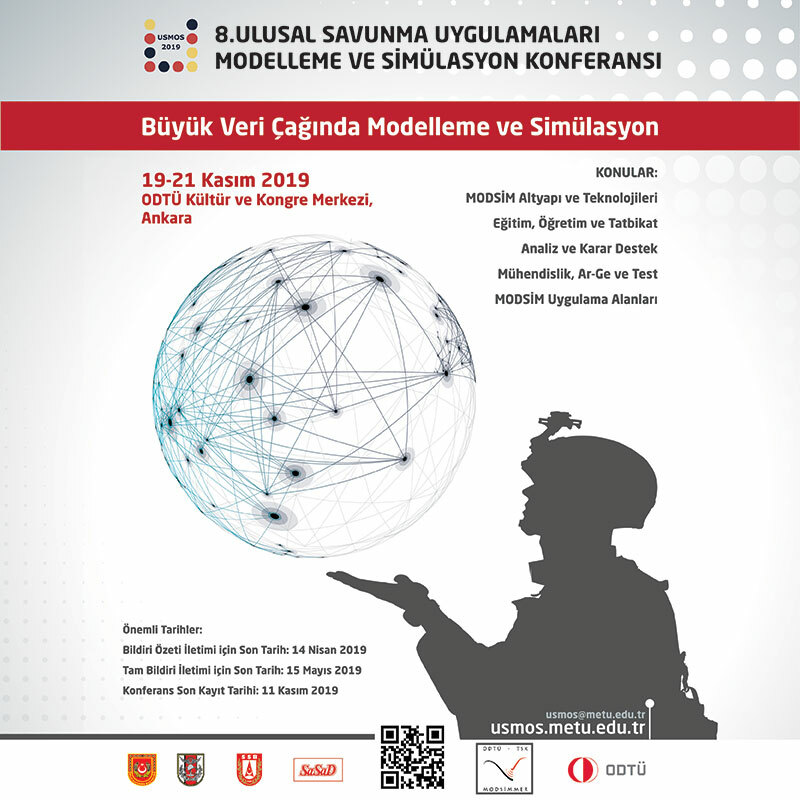 Furthermore, to improve the logistic support system of the Turkish End User, Leonardo also delivered training courses to site operators in addition to the provision of new technical documentation compliant with the latest NATO standards. For what concern the others 4 RAT-31D/L, Leonardo has in force with NATO a Logistic Support Contract to guarantee the system performances. The NATO CLS Contract was signed in 2011 and it will end on 2030. 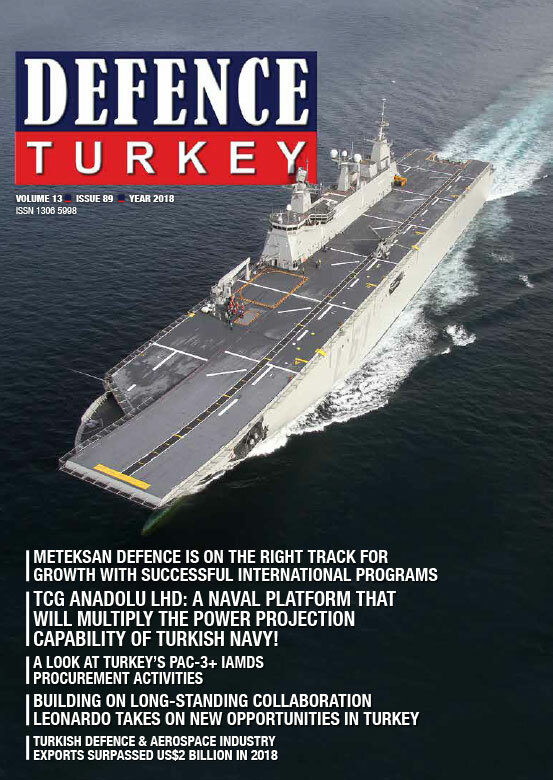 Leonardo is extremely proud of having made available its high technology and services to Turkey and, as it has done over time, is ready to continue to increase and differentiate the security levels of the country according to new threats through updates of defence systems and/or installation of new systems. Defence Turkey: Alenia Aermacchi/Leonardo is the Prime Contractor of the MELTEM-III Program, covering the procurement of 6 ATR-72/600 Turkish Maritime Patrol Aircraft (TMPA) with Anti-Submarine Warfare (ASW) and Anti Surface Warfare (ASuW) capabilities for the Turkish Naval Forces Command (TNFC). How is the program evolving? Camillo PIROZZI: In 2017 the original contract was amended, in agreement with the customer, to establish a new delivery plan. Leonardo continues to work in line with this new schedule and both the customer and the company are satisfied with progress. The new plan also provides further benefits for Leonardo’s Turkish counterpart. Defence Turkey: Telespazio, 67%-owned by Leonardo, is the Prime Contractor and the system integrator of the GOKTURK-I High Resolution Surveillance and Observation Satellite System Program. The GOKTURK-I EO Satellite was launched into Low Earth Orbit on December 5, 2016 aboard the Vega SLV. Can you elaborate on the current status of the GOKTURK-I Program? Have the ‘In Orbit Acceptance Tests’ been completed and has the satellite/system been handed over to the TurAF? Camillo PIROZZI: The GökTürk-I satellite system, provided by Thales Alenia Space alongside prime contractor Telespazio, is an advanced and sophisticated Earth observation system, returning high-resolution optical data back to ground. The satellite has been launched, the Final Acceptance was completed in December 2018 and the system is now fully operational. Defence Turkey: What can you tell us about the current status of Liaison & Utility Aircraft Project, covering the supply of 9 transport aircraft 6 for the land forces and 3 for the police, and also Leonardo has offered its C-27J Spartan aircraft to meet this requirement? When did you submit your proposal under the Liaison & Utility Aircraft Project and when do you expect announcement of the winner? The deadline for proposal delivery was extended five times between August 19, 2016 and December 29, 2017. 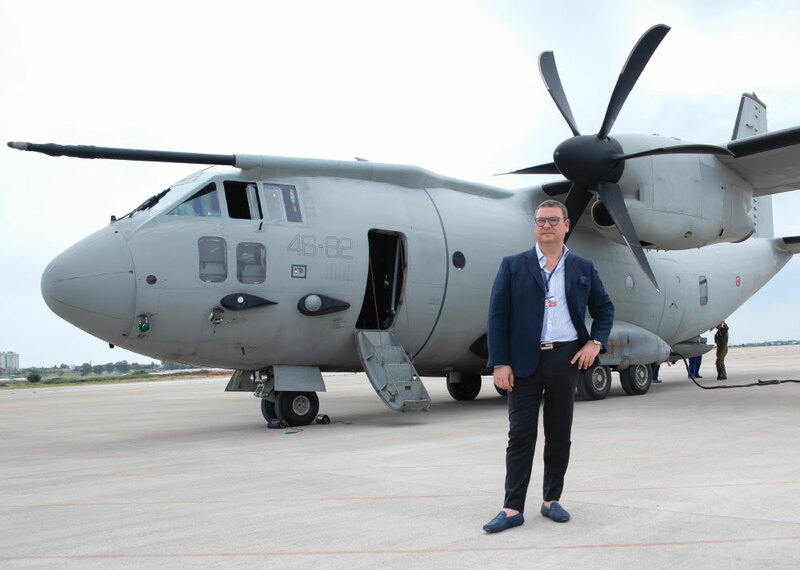 Camillo PIROZZI: Leonardo has proposed our C-27J for this project. We believe that this aircraft fully meets the advanced requirements of the Turkish Air Force and will be able to operate safely in multiple mission scenarios. We submitted our proposal in December 2017 at the request of the SSB, a proposal that incorporates the broad involvement of Turkish industry. We understand that evaluation work is on-going. Defence Turkey: Is it correct to define the T129 ATAK program as a mature program? Camillo PIROZZI: The T129 ATAK program has now reached a significant production rate with manufacturing now well established. Defence Turkey: What could be the future of the T129? Camillo PIROZZI: We see our Turkish partners happy with the program and confident in future prospects. Defence Turkey: What can you tell us about Leonardo’s approach to the TurAF’s Future Indigenous Fighter (TF-X) and Jet Trainer (T-X) requirement? Camillo PIROZZI: Leonardo is well placed to play a role in the new Turkish fighter jet. We have advanced capabilities in avionics and defence electronics and deep experience gained from work on the Eurofighter Typhoon, Saab Gripen and Lockheed Martin F-35 programs. Leonardo is already in discussions with Turkish stakeholders with a view towards potential collaborations. With regard to the Jet Trainer, Leonardo owns a number of relevant and advanced technologies which are recognized all over the world and stands ready to take part in the Turkish Aerospace HÜRJET program development project. Defence Turkey: Would you like to add anything in the way of a message for our readers?